Seegogga Self Catering Accommodation offers you a choice of 4 self catering units. Each unit is fully equipped. Bedding and 2 towels per person are provided and the kitchen is stocked with coffee, tea, sugar, sunlight liquid etc. DSTV is available if you bring you own decoder. For bookings or any additional information, contact: seegogga@gmail.com or phone 0845874228, but please scroll down first and read a bit more about each accommodation site. 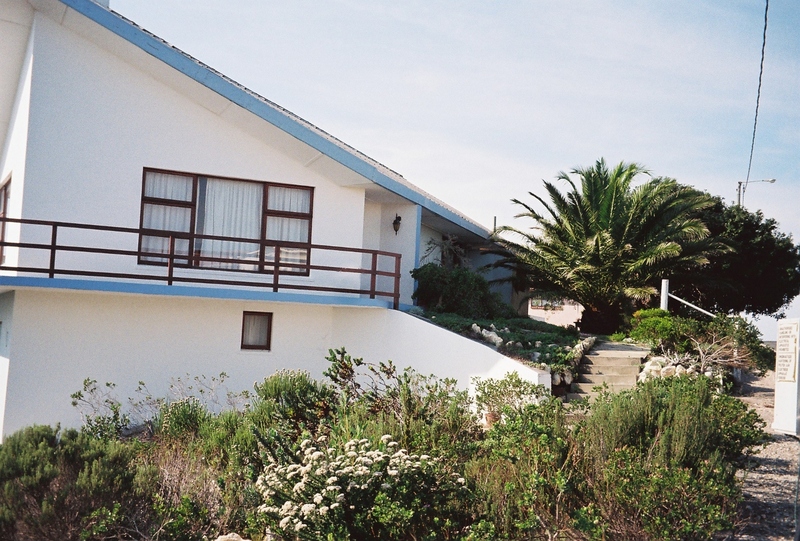 Walking distance from the sea, shops, restaurants and church, Erika offers a spacious and very comfortable 2 bedroom, 2 bathroom house with an exceptionally large lounge/entertainment area with good sea views, situated in a huge garden , a great part of it natural fynbos. is built on a slope, so your entrance to the house is on ground level. Erika is suitable for up to 7 people. Relax in comfort and enjoy the good view at Erika. Erika is self catering, but a lovely full breakfast (hot and cold) can be arranged at R70 per breakfast. For information and photo’s, please click here. 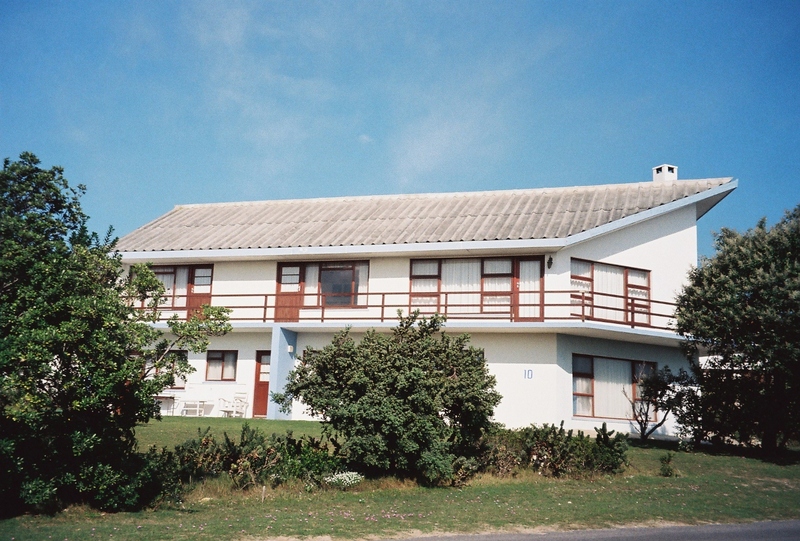 Struisbaai: Annie’s flat is a cosy flat with one bedroom, suitable for up to 4 people, on the same premises as Erika. 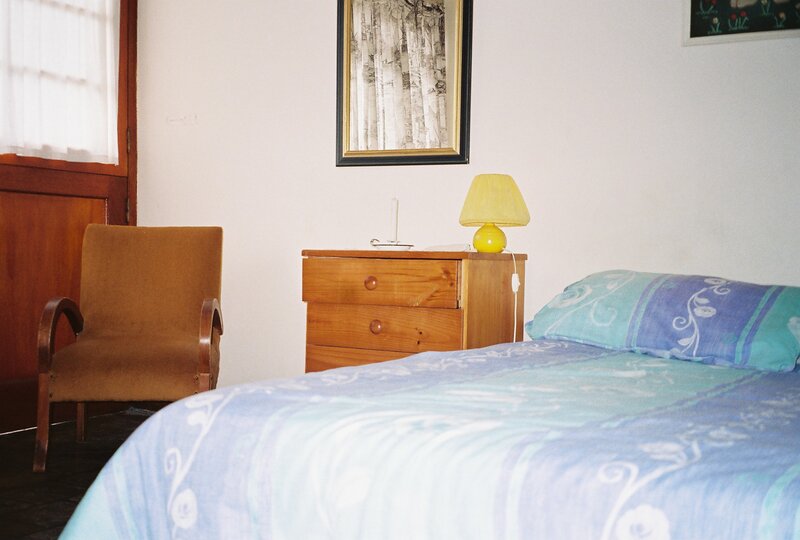 Annie’s flat consists of a bedroom with double bed, and a lounge/kitchenette with 2 single divans, a bathroom with toilet, washing basin and shower. Annie’s has an under roof stoep with braai , and a lovely extra ordinary big garden, most of it natural fynbos. Breakfast can be arranged @ R70 per breakfast. For information and photos, please click here. 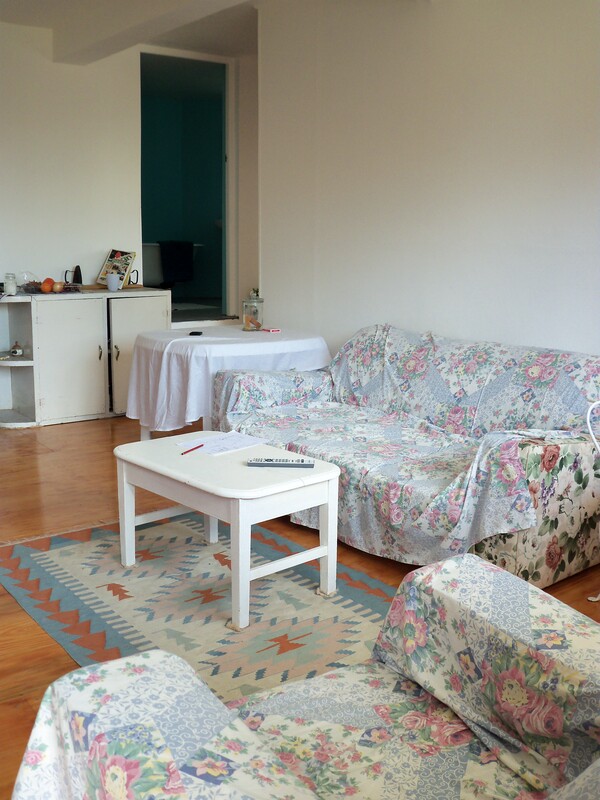 Fagan’s is next to Annies and is a lovely 2 bedroom flat suitable for up to 4 people with unconventional shaped rooms, due the house’s sharp point on one side. The bathroom boasts an an old fashioned but renovated cast iron “pootjiesbad”. The lovely spacious lawn and fynbos garden, add to the tranquility you will experience here. There are even a bit of sea view from you windows! Breakfast can be arranged at R70 per breakfast. 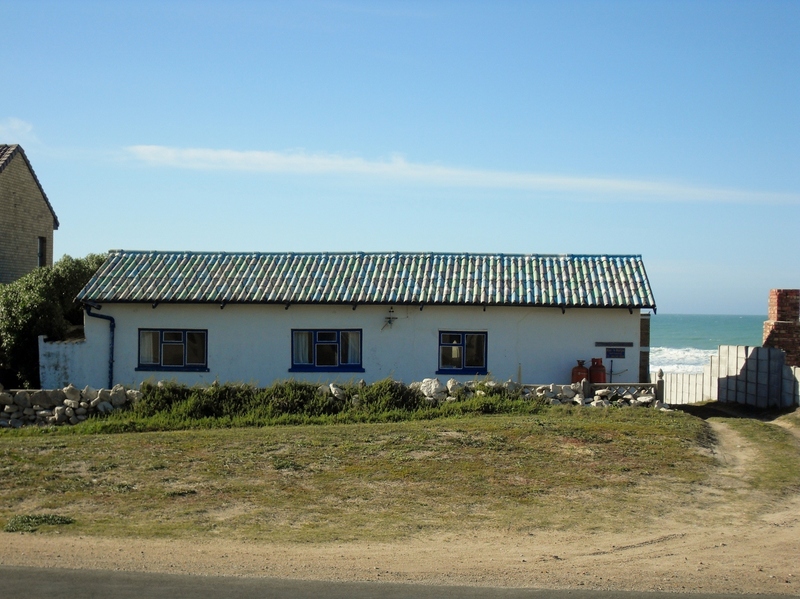 Rus’n Bietjie is a very rustic fisherman’s cottage with a unique character, suitable for up to 8 people only 30m from the sea with wonderful sea views. 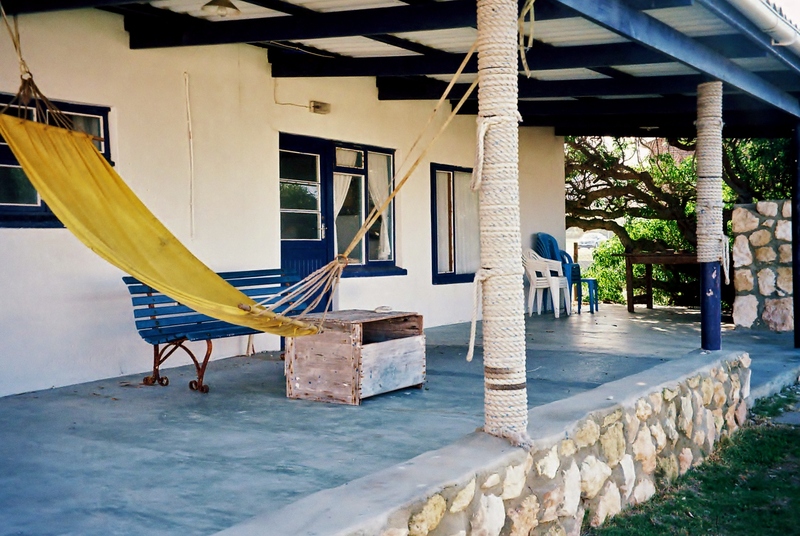 For a real sea feel, Rus ‘n Bietjie is the place for you. Follow this page for updates, photo’s and descriptions! Aaag – dit lyk so lekker! (Sug) wens ek kan op so ‘n plek gaan vakansie hou. Vir ons bosvelders hou die see groot bekoring in. Wel waarom kom jy nie? Ek het sopas ‘n kanselasie gehad in Annie’s flat 15-20 Des ( 5 dae) ! Carpe Diem! Kontak my as jy ooit vakansie wil kom hou op die Suidpunt van Afrika!